We will not be able to deliver a more just, peaceful and sustainable world, unless we realize that this requires moving away from technical solutions alone and that we need to constantly assess the values and systems that underpin our world. The human community has created injustice, conflict and unsustainable patterns, hence we have the power and duty to engage deeply to create empowering patterns for peace and prosperity. Designing our ideas and initiatives on the conscious full –spectrum response (CFSR) creates a new pattern, a new architecture for equitable and sustainable change. CFSR is a fractal that creates large -scale change. A fractal is a pattern that repeats itself. And this pattern can be generated with ensuing results at any level, any sector, at home, at work and in society. We will explore significant contributions made through using the CSFR fractal in many ways: for example, transforming workplace cultures, supporting youth to revisit and shift disempowering social narratives; creating multi-sectoral, multi-level platforms for decentralization of government services, supporting local leadership to prioritize and finance major services; engaging organisations to work on increase investments in adolescent girls to address patterns of inequality, deprivation and discrimination across generations. Each and every individual has the resources and the power to make change happen – to shift systems and deliver results. This depends on our capacity to connect to our dreams, our vision, and then to shift our perspective that we are small. We are not. We have the incredible power to make significant changes. It is a matter of our personal responsibility and leadership in life. Fallacy: Human beings are driven primarily by self-interest. New Learning: Human beings inherently care about others, it is an integral component of our social intelligence that has enabled us to survive through thousands of years. 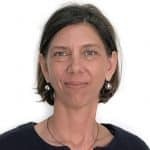 Bio: Paola Babos is a development practitioner with over 15 years of policy and programme experience working with International Organisations in both conflict and development settings. She currently serves as Regional Gender Advisor for the UNICEF Office in West and Central Africa Office advancing work on the empowerment of women and girls in health, education and in water and sanitation. She has also worked at country and regional levels on strategic planning, supporting UNICEF offices in designing and monitoring programmes to deliver results for children in complex country settings. Before joining UNICEF, Paola worked in the UN Secretariat on development policies in the group of Least Developed Countries, and with the OECD Centre for Entrepreneurship where she led peer learning seminars and studies on social innovation and inclusive local development in transition economies in Eastern Europe and the Balkans. Paola started her career in field positions in Serbia and Kosovo working on post-conflict dialogue and reconciliation programmes with internally displaced communities. Paola holds a BSc in Government and Economics from the London School of Economics and an MA in International Relations from the University of Chicago.